Over the past few years it seemed every expert was telling us that interest rates would be rising, but after years of record low fixed rates, I think many of us stopped believing the headlines. With bond prices dropping and yields on the rise, those rates (fixed-rate mortgages) that are tied to bond yields have shown dramatic movement over the past month. For the most qualified, the rates on 5-year fixed mortgages have increased from a low of 2.89% to 3.59%, and are potentially still rising. The term, “jumping on the band-wagon” now comes to mind. We see it most often with professional sports teams, fads, and sometimes even with politicians. It seems we may be seeing it in the mortgage industry as well. 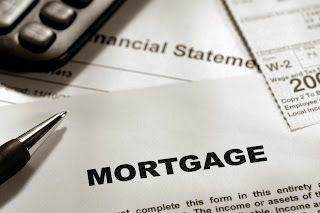 In the past week, I’ve read a number of articles speaking to the virtues of variable-rate mortgages. Are variable-rate products quickly becoming the better option? Do you remember the days of 5-year adjusted rate mortgages (ARM) priced at PRIME – 75 or even PRIME – 90? If you were fortunate enough to have one of those products and stayed with it over the course of the term, you’ve come out a winner. Since the last PRIME – 75 funded approximately four to five years ago, those rates have become extinct and now those clients renewing their mortgages have a choice to make. Should they renew into a current ARM product at PRIME – 40(ish)or take the security of a fixed-rate term in the fear that rates will continue to rise? Economists are predicting the Bank of Canada will hold the overnight rate steady into 2014. That said, take these predictions with a grain of salt as many of those same economists had already called for increases back in 2012 and 2013. Economic conditions change and so do outlooks and forecasts. When looking to determine if there will be interest rate shock it’s important for mortgage renewers to consider not just their current effective interest rate, which may be PRIME – 75 or 2.25%. Rather, focus on what the rates were at the time the mortgage was funded when PRIME was 4.75% (August 2008) to the current rate options. In many cases there will be no shock at all, especially if clients took advantage of hold-the-payment options while rates started to decrease. For example, the effective interest rate and payments set at the time of funding was 4% and current 5-yr. fixed mortgages can still be had at the 3.39 to 3.69% range. Relatively speaking, variable-rate mortgages are cheaper today at PRIME (3%) – 40 than they were five years ago when they were at PRIME (4.75%) – 75. The spread between fixed rates and variable rates is sometimes referred to as the “rate premium” or even “fixed rate insurance” and is a good evaluator of the attractiveness between fixed and variable. This time, five years ago, that spread was approximately 150 basis points (5-yr. fixed rates averaged 5.50%). Today that spread is around 100 basis points. If that spread grows, variable-rate mortgages will again become more attractive compared to their fixed-rate counterparts. Before making any final decisions keep in mind two last items. First, in late 2008 both fixed rates and PRIME were dropping. Today, PRIME is remaining flat for the time being while fixed rates are rising. Second, credit and lending guidelines have changed significantly in the past five years. Today’s borrowers are better qualified and have fewer opportunities to defer interest costs using extended amortization and lower down payment options. Those who are willing to take the additional risks of variable products are better equipped to do so than those in the past even though the risk premium is effectively higher than it was five years ago. That said, our rate environment today compared to August 2008 is quite different since both variable and fixed rates do not seem to be dropping. To really understand the best option, it’s best to discuss these factors with a dedicated mortgage broker. He or she will review the various products available and can help clients select the best one that fits lifestyle and financial goals. 1. Affordability. According to its latest quarterly report, RBC says its affordability index reversed course, meaning housing has gotten relatively more expensive, in two of the three categories it measures. Mortgage rates in isolation don’t mean very much. What is really important though is how much your payment is relative to your income. 2. More people will select variable even though they still must qualify on the artificially-set benchmark rate. This is simply a reality of the mortgage business. I see this trend continuing as long as the Bank of Canada does not raise its overnight rate. 3. Reduced demand for housing may result in lower home pricing. If affordability does become an issue, and more potential buyers are forced to the sidelines, then fewer people will be looking for houses. Economics would then dictate that with fewer people looking and supply remaining constant, this would lead to falling home prices. 4. Short term rush into the housing market for those sitting on the fence. The flipside to point #3 above is that there are a great many people who have been looking at purchasing. Rate increases might trigger buying activity out of concern that rates will keep rising and they may be priced out of the market. 5. If rates are on an upward trajectory make sure you get pre-approved with a rate hold as soon as possible. Fixed rates may be on the rise but you can often protect yourself against major increases, on a short term basis, with a rate hold. In the end, market volatility breeds uncertainty but it also brings opportunity. This is an ideal time to talk mortgage strategy with your mortgage professional. The strategy is vital and is, in many respects, more important than the rate. It may be time to consider the variable rate or, from a historical context, it may be a great time to consider locking in to a fixed-rate product. Either way, it’s up to you to be proactive and seek out advice.